You want to play Pokemon Go, but you're having trouble finding and catching all of those Pokemon. We're here to help. Pokemon Go is a pretty simple-to-use application as would-be Pokemon Trainers can venture into the world to catch their fair share of Pocket Monsters, but we’re sure there are many of you who would prefer to not wander around aimlessly in hopes you’re going in the right direction to add another Pokemon to your impressive lineup. But how do you effectively find Pokemon and then capture it without it scurrying away, and into the Pokeball of another trainer? Read on to find out how to find and catch Pokemon. We’re hoping if you’re reading this guide, you’re already logged into your Pokemon Go app and ready to start capturing Pokemon. While you’re looking at the map of your surrounding area, you’ll notice a small, white rectangle that highlights what Pokemon are in your immediate area. Tap on that area to bring up the “Nearby” window. 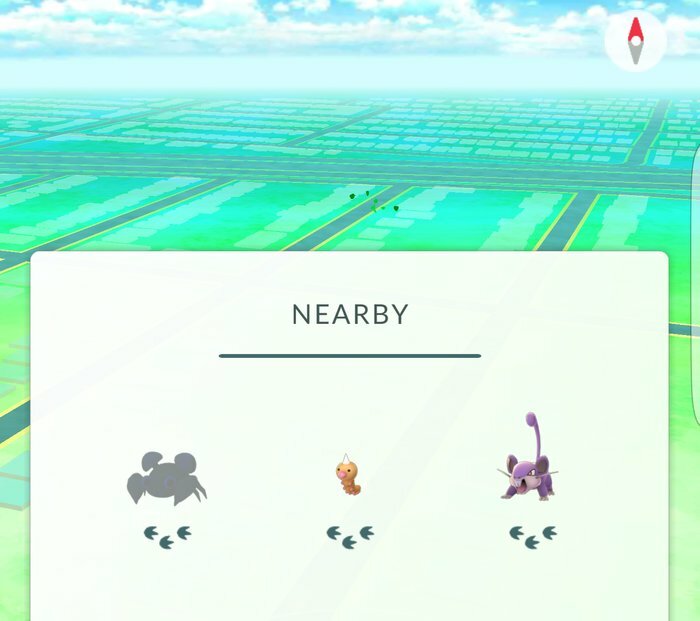 This window will display all of the Pokemon close by as well as their distance to you. Distance is measured in paw prints. The smaller the number of prints, the closer the Pokemon is to you. 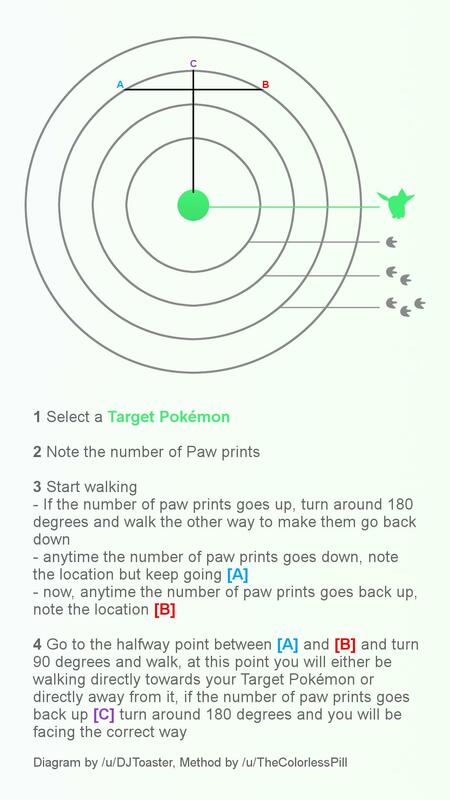 Unfortunately, no one knows the exact distance Pokemon are located based on paw prints, but just know the fewer the prints, the closer it is to you. The next thing to do is select a Target Pokemon. Once selected, you’ll need to keep an eye on the amount of paw prints that’s displayed as this is how you’ll be able to track where the Pokemon is located. You can also use Incense and Lures to increase the amount of Pokemon spawning around you. While you’re walking, if the number of paw prints goes up, turn around and walk the other way so the number goes back down. Continue walking in the direction where the paw prints are going down, and they’ll eventually go back up again. Turn around again and go to the point where the amount of paw prints is the lowest, then turn 90 degrees to either side and walk directly forward. If you’re walking away from your target, turn around to walk straight towards your Pokemon. Get In My Belly… We Mean Pokeball! Well well well, Pokemon Trainer. You were able to safely stumble onto the Pokemon you wanted, or you just found another Pidgey or Rattata. Either way, you’re staring face to face with a Pokemon that you want inside of your Pokeball. Now what?! Tap on the Pokemon that’s popped up on your map to begin the capturing process. 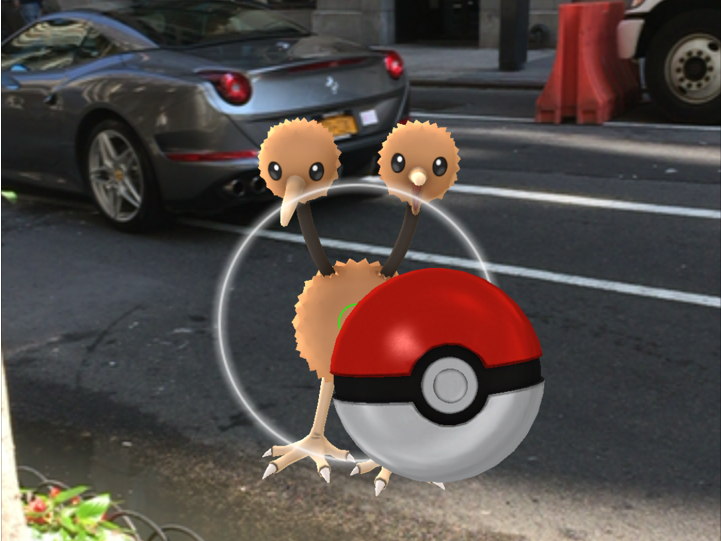 If you’re playing in Augmented Reality (AR) mode, which is on by default, aim your phone’s camera at the Pokemon. If you don’t see them, the game will guide you through the use of arrows located at the edges of the screen. With the Pokemon in front of you, flick the Pokeball that’s located at the bottom of the screen towards it. Try to time the throw with the ring that’s pulsating in front of the creature. The smaller the circle, the better your chances of capturing it. The color of the ring indicates your chances of capturing the Pokemon, with green being the easiest and red being the toughest. Congratulations! You’ve successfully tracked down and captured a Pokemon in Pokemon Go! Now go out there and try your best to catch ‘em all! If you need more help, check out our complete guide to all things Pokemon Go.